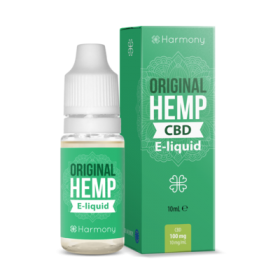 Harmony Cannabis Originals-Super Lemon Haze is an e-liquid for electronic cigarettes, and was crafted with vapers in mind, and hemp at heart. It’s aroma is derived from the same compounds of the beloved SLH cannabis strain and comes with various levels of CBD strengths. This unique aroma is created from terpenes, the compounds that bring smell and flavouring. Terpenes are organic compounds found in a variety of plants, and contribute to their flavor, scent and color. They interact synergistically with cannabinoids to create what scientists refer to as an “entourage effect” that magnifies the effect of the plant’s individual components. Nicotine and CBD are both natural compounds produced by plants. Nicotine is produced by tobacco and CBD by Hemp. 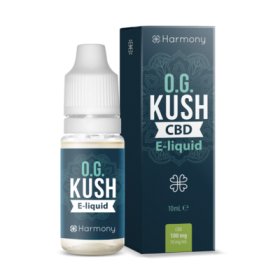 CBD is non-addictive, non-toxic and non-lethal compound, that is why CBD is becoming the best choice among vapers.